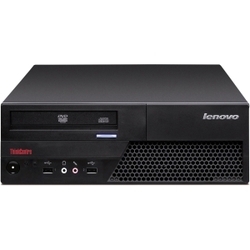 "The ThinkCentre M58p series offers models with the latest Intel Core 2 Duo processors, TPM Security Chip, and Intel Advanced Management Technology. All models include ThinkVantage Technologies and are Microsoft Windows Vista capable. Select models are preloaded with Windows Vista. These models include new technologies to ensure ENERGY STAR 4.0 compliance, offering additional configurations with lower power consumption and heat emissions to protect the environment.